My gorgeous friend Sarah has encouraged me to pluck up the courage to write my first guest blog post so here goes. 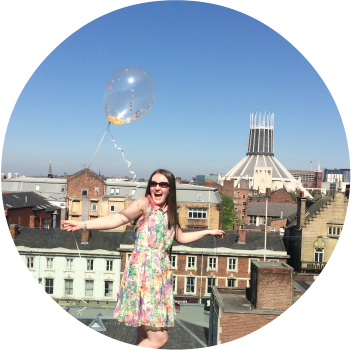 A little bit about me… I am 26, from Liverpool and have the itchiest feet (not literally!) We really do live in a beautiful world and having spent most of my younger years dreaming about exploring it, I decided to finally do something about it. This has lead to me being able to work and visit some of the most stunning places on the planet. My first post will be about my first winter season in the French Alps and last-minute me, itchy me, I have decided to do it all again this year! Here are my top tips to help prepare for the season ahead and also the essentials to bring with you! Can’t ski or snowboard? Don’t Worry! I had never skied or snowboarded before prior to my Season in Samoens, France, so during my Skype interviews to my prospective employer, I showed off my personality, determination and willingness to learn the sport along with showing my commitment to the job. Prior to going out there for the season, I took a couple of lessons in Chill Factor in Manchester and luckily, I found some great Groupon deals! If you are on a budget this is an ideal, pocket friendly way to build your confidence and ski bunny skills! Personality and professionalism: Whatever role you choose, you will be the face of the company you work for so they want people who will make a difference to their customers holiday whilst representing them in the right way. Show enthusiasm to learn: From cooking French dishes for 20 people to attempting your first red run on the slopes; it really is all about putting yourself out there and enjoying it! Be a team player: It’s highly likely you will be working as part of a team and if you are thinking about doing a season, remember, a majority of your team will be new too! It's great to have the support of your team behind you because the role really can be a wild one! 360 If you support your team, they will support you right back! Three of the most popular destinations for Brits to do a Winter Season are France, Italy and Switzerland. It is highly likely that you will fly into Geneva Airport and your new home will just be a few hours away! You have to remember that along with the job and the sports, you will be living in your new destination for around four months and it is essential that you have the right amenities for you to enjoy your adventure. In the 2014/2015 season, I stayed in a stunning village called Samoens with a fantastic Ski Pass to Le Grand Massif. I loved my time here, however, the perks of doing a season is the Apres Ski and due to the traditional nature of Samoens, it did lack the buzz of other resorts such as Morzine and Chamonix so research and understand exactly what you want to get out of your season! Ski and Snowboard wear: Warm and waterproof gear are ESSENTIAL! I love my fashion and hate to admit it but I do love looking good on the slopes because for two reasons, everyone takes photos and I am partial for a pose on the slopes and also the all important Apres Ski - some of the best DJs and bands are at the bars and clubs so why not make the effort? This year I have to thank the amazing TK Maxx because I have luckily bagged myself the most stunning Roxy Jacket and Salopettes. Accessories: This included the standard gloves, scarves, hats however remember, safety is so important because if you do hurt yourself on the mountains, that is your season over! Do indulge in a good helmet, goggles and even wrist pads. I suffer from migraines due to bright lights and nothing is worse than the sun beaming on the snow so I invested in Scott goggles that had a lens to minimise these effects, and they are fantastic! Teabags: Nowhere will ever beat a good cup of English brew! Chocolate: Of course France has its fair share of yummy chocolate, BUT they don’t have Dairy Milk and until you move away, you don’t realise how good Dairy Milk are! Dressing gown and slippers: Strange choice, but you are working abroad and after a long day in work and on the mountain, to have the luxury of a fluffy gown and slippers is heaven. Plug adapter: You don’t want to get all the way there and not be able to charge your electronics! Films and box sets - staff accommodation usually has little to no WIFI so for nights you and your friends stay in, have some great entertainment on standby. 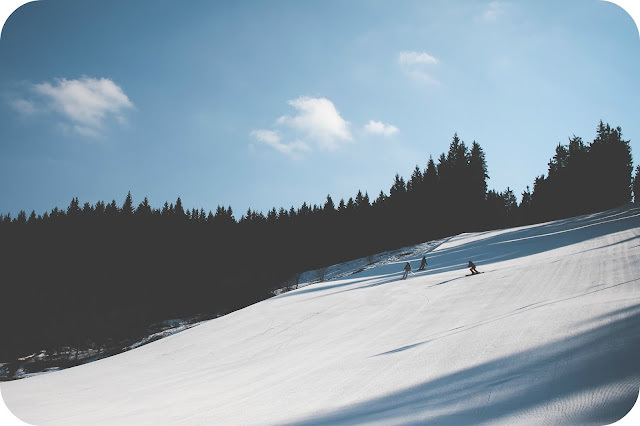 Deep Heat - even after months on the slopes, you can’t predict a fall and deep heat really is the saviour to help through the pain! Pharmacy bits and bobs - In France, you can’t buy paracetamol and vitamins as freely as you can in the UK so stock up and save your time. Plus, it is a lot cheaper at home than abroad. European Health card - It’s free and means less paperwork if you have to go for any treatments! I hope my advice can help guide anyone who is doing a winter season or thinking over the option. After the tragic events that have happened in Paris and around the world recently, life really is too short so believe in yourself and make your dreams a reality! A big thank you for Sarah for this opportunity and hopefully speak to you all soon! A huge thank you to my darling Jessie for putting this post together for me! I'm too much of a home-bird to go on the adventures she does, but I was so so happy she agreed to share some of her travelling experiences here in Wonderland! I'm trying to convince her to put a few more posts together too (maybe even start her own blog?) so please show her some love! You can follow her crazy adventures over on Instagram and Twitter - so go follow! I would have love to have done a ski season when I was younger! I did live in France for a year when I was younger so that was my 'life experience' or whatever. I think everyone should do something like that at some point in your life. It totally takes you out of your comfort zone and is brilliant! It is something I wish I had always done, either worked away for summers or gone to work in America for a year. But I didn't and I really do regret it!